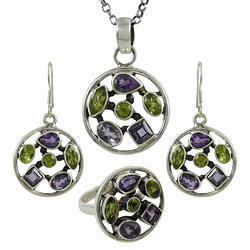 Pioneers in the industry, we offer 925 sterling silver amethyst 4 piece set, african amethyst 925 sterling silver 4 piece, labradorite 925 sterling silver 4 piece set, 925 sterling silver jewelry set, 925 sterling silver quartz pendant earrings and ring set and 925 sterling silver coral earrings pendant ring set from India. Great Creation ! 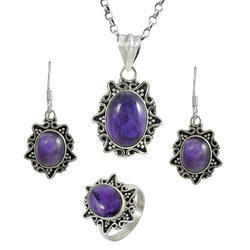 925 Sterling Silver Amethyst 4 Piece Jewelry Set Eye Catching Amethyst gemstone 925 sterling silver jewelry set at wholesale price. Bright Side !! 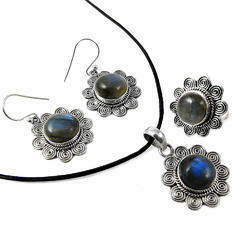 Labradorite 925 Sterling Silver 4 Piece Set Bold Vintage Energetic Labradorite gemstone 925 sterling silver jewelry set at wholesale price. 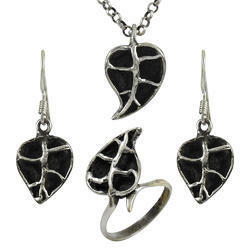 Classic Design 925 Sterling Silver Jewelry Set Easeful 925 sterling silver jewelry set at wholesale price. 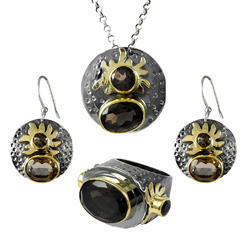 Stylish !! 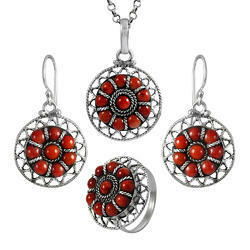 925 Sterling Silver Coral earrings sets, Pendant jewelry set Set Passion Coral gemstone 925 sterling silver jewelry set at wholesale price.